Book smart but severely lacking in common sense, Nora Grey finds herself drawn to her new biology partner, a mysterious (and rude) guy named Patch. This one has been reviewed umpteenth times around the blogosphere and people seem to either passionately love it or hate it. I didn’t feel that passion. 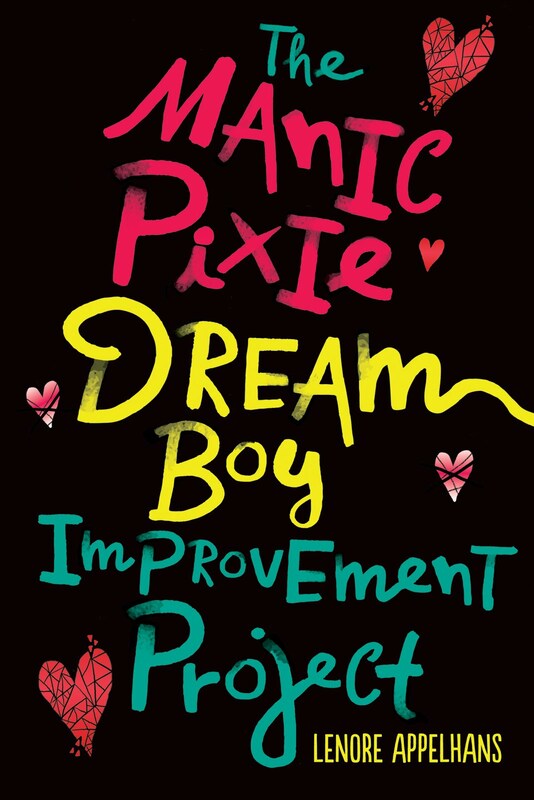 While the book did a great job of drawing me in (like Patch, the novel has an otherworldly magnetism) and keeping me turning the pages, it also had me scratching my head at Nora’s stupid decisions. Nora suffers from cheesy horror movie heroine vulnerability. She lives in a secluded farmhouse and spends most nights by herself because of her mother’s job. She’s eye candy. She has an outspoken best friend (Vee) who has no problem dragging her into unsafe situations as long as there is a cute boy involved. And Nora has the kind of misguided loyalty that would have her walk into a dark alley and trade her winter coat to a homeless person for directions to a party her friend is at. But it’s this vulnerability that attracts Patch to Nora, and the central mystery becomes what exactly Patch wants with her. As you can probably tell from the cover (and the official synopsis), Patch is not human – but a fallen angel. Could Patch be around to protect Nora (there are a lot of villains hanging around Nora’s town, after all)? Or does he want something far more sinister? 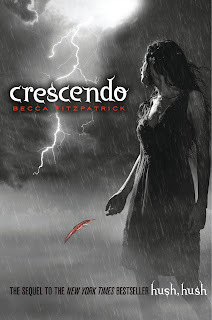 I am intrigued enough by the story to have an interest in reading CRESCENDO, the sequel which comes out October 19th. And in case you’re interested in starting the series, I have two copies of HUSH, HUSH to give away to my readers in the US. To enter, fill out the giveaway form. It's refreshing to not read a post on this book that loves it or hated it :) Still not sure if I will read this, but I might in time.. I too felt a lack of passion for Hush, Hush. While I liked many parts of the novel and was curious enough to want to read Crescendo when I finished, I still felt a kind of "eh" moment when I closed the book. I know Fallen is supposed to be somewhat similar to this but I read it first. I can't wait to try this Hush, Hush though. Oooh very interested in reading it because I haven't yet. Love the cover for Crescendo. Thanks for the frank review! Thanks for the giveaway - I have Crescendo on my to-read list too! I haven't read either one yet but plan too soon. Thanks for a great giveaway! I am afraid I lost interest in Nora as soon as you made the 'severely lacking in common sense' comment. I can forgive a lot in a character, but that drives me nuts. Your feelings mimic my own. I definitely can't wait to read the rest of the series, but I was not a fan of Nora. I also cannot stand Vee. However, Patch makes up for my less-than-enthusiastic feelings for either female, as he is the most interesting character. I raelly enjoyed this one, mainly because I'm always a sucker for the bad boy. Patch really made that first book for me. I agree Nora isn't always the wisest though. I've already read Crescendo so I'll be interested to see what you think of book 2. My daughter read this and thought it was only so-so as well. I think she even compared it to the Twilight books, which I am not sure is an accurate comparison, but her opinion nonetheless. I am not sure if I would like this book or not. I will have to give it a look through and see what I think. I was an in between love and hate too. I was so engrossed in the book, but I really wanted to slap some sense into Nora. I actually enjoyed Crescendo more than Hush, Hush. Not that Nora got any more intelligent, but the plot felt a bit tighter. 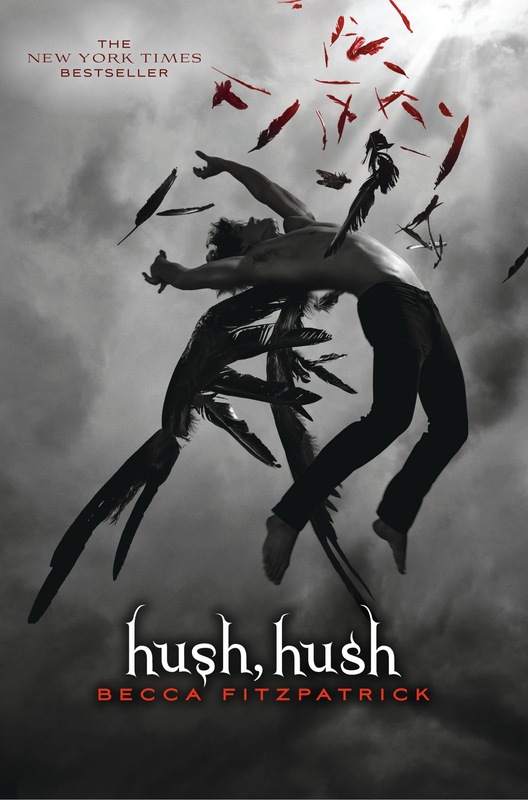 Hush, Hush was pretty good but I am not going to outright buy the sequel. Lenore, I just finished reading it this weekend, and like you I felt that lack of passion. I didn't love or hate the book. I enjoyed the ideas but the characters, oh, the characters! I'll still read Crescendo though! Great review! I felt like you hit the nail on the head here! I enjoyed Hush, Hush, but definitely not as much as other people did! However, I am still looking forward to Crescendo.